Good morning from rainy Hamburg and welcome. Today, we want to report about the USD and some economic data from around the world. Furthermore we analyze the EUR and the CHF. However, we wish you a beautiful day. 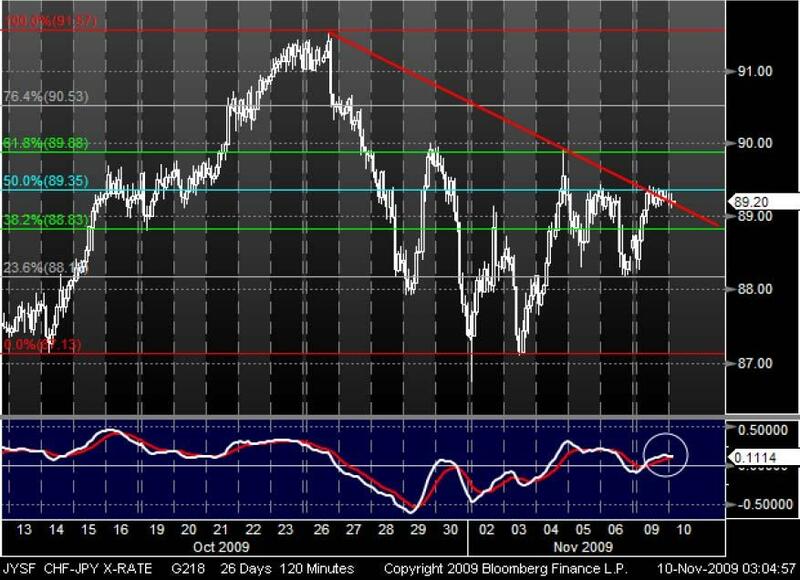 The USD rebounded from a two week low versus the EUR on speculation that investors will reduce their short positions in that currency pair before a U.S. public holiday. The USD reached 1.4982 against the EUR. Furthermore against the JPY, the EUR dropped to 134.78 before data forecast that the German investor confidence will fall for a second month. The USD is unchanged against the JPY and traded around 89.96. In Germany the government published reports about its industrial output. The industrial output rose more than the economists forecast. The USD Index recovered from its lowest level since 2008 and rose 0.1% to 75.120 against its six major counterparts. China`s customs bureau will report that their exports fell 13% last month from a year earlier tomorrow. This would be the slowest decline since December 2008. Yesterday U.S. President Barack Obama said that he will bring up currency issues when he meets with China`s President Hu Jintao and Premier Wen Jiabao in Beijin next week. They will talk about the financial crises and the recovery of their own economies. Since the beginning of October, the EUR/CAD has been trading in a bullish Andrew`s Pitchfork trend channel since the currency pair touched the bottom trend channel line. Furthermore it reached its support at 1.5805 and it seems that the prices could recover. 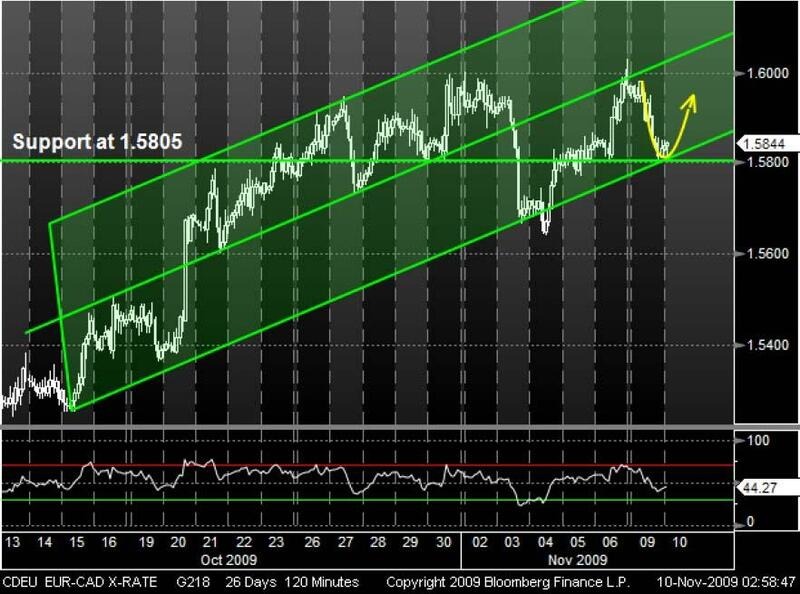 Also the RSI may indicate an increasing trend for the EUR but it remains to be seen if the EUR could continue its bullish moves. With the ending of October, the CHF stopped its bullish trend and has been trading in a bearish trend against the JPY. Recently, the currency pair reached its 50 % Fibonacci Retracement level at 59.35. The last time when the CHF touched this level in November, the prices rebounded. Also a from the top crossing MACD trough the signal line could support a continuing bearish trend.